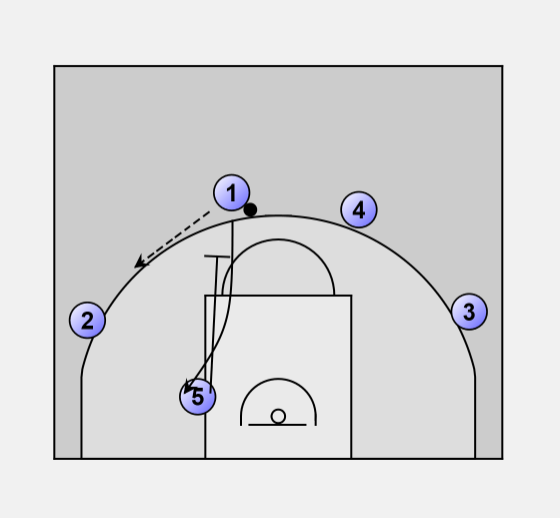 O1 passes to O5 and cuts to ball side low post. 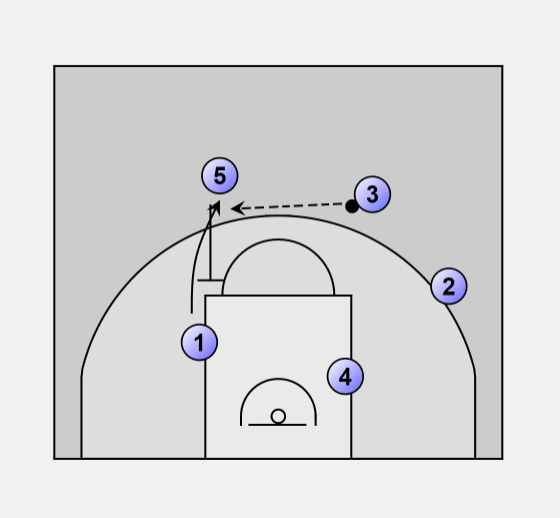 O1 sets elbow screen for O4. 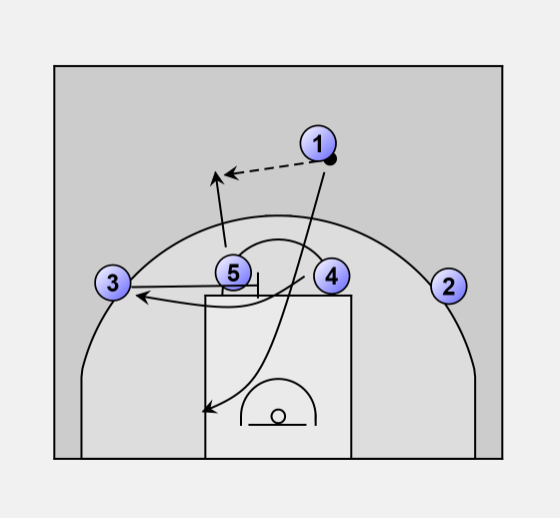 O5 sets a down screens for O1. Pass from O3 to O1. 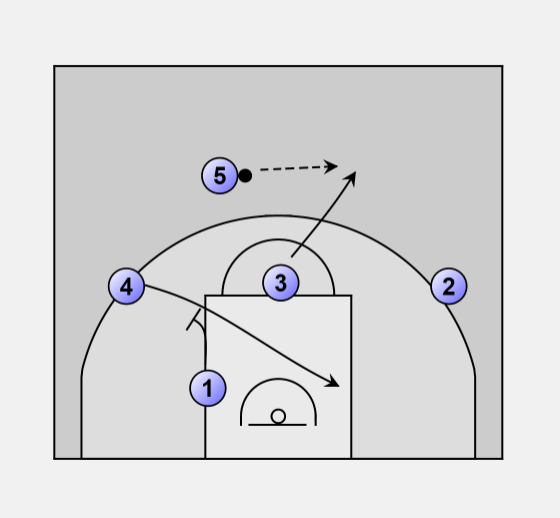 On the ball reversal to O1, O4 & O5 set baseline staggered screens for O2. O3 screens for O4 (screen the screener). 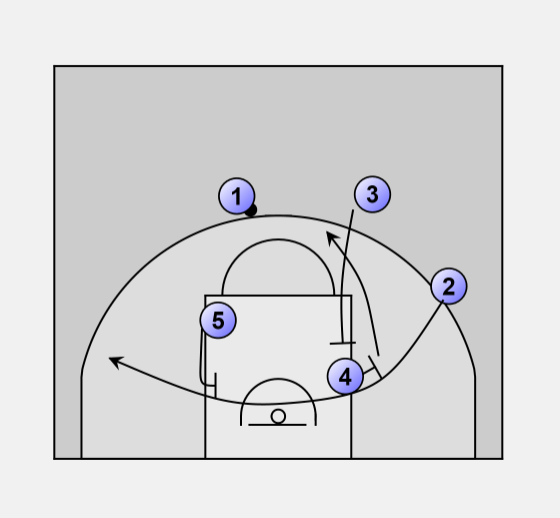 If O1 passes to O2, O5 sets a back screen for O1.